Lets get something out of the way. 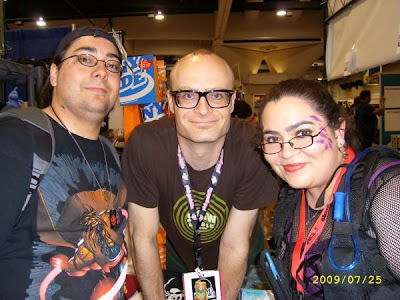 MC Frontalot and Nerdcore Rising have affected me in ways that I just can not explain. To hell with it, they have changed my life, OHNOS! cliche's!? "This here's The Front . . alot and I expect, that yall" should know who the hell this guy is by now, OR, conversely, that he is the godfather of Nerdcore hip-hop. Thar be a ridiculously nerdgasmic Documentary film by the visionaress Negin Farsad, featuring The Front, perhaps you've noticed I've mentioned it a couple times. Enough commercials (for now). "Gee H47, WTF w/ur hard on about this dood?" Honestly, he is the ultimately balance, FOR ME, of references, beat usage, lyrical content, as a label all around, he is the most put together to me. After seeing THIS TRAILER I started investigating the genre and Front was not the FIRST Nerdcore "artist" (I use the term loosely, because some of them are NOT) I encountered. I think MC Chris and MC Lars were the first guys I found. 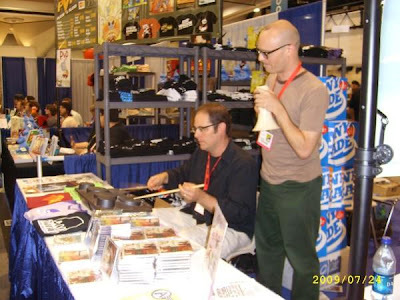 Chris being more well known (ATHF) and Lars being more local (live105[scroll to bottom of page], CA bay area). But as soon as I found Frontalot's page and started listening to the feed on the main page, I was hooked. So Front has been around for a while, hes been doing his thing for some time, and the talent + work has given this incredible result. lil here, and the documentary are my fave places for info. as a matter of fact, if you feel the least bit as jazzed up and geeked out as I do, please host a screening of Nerdcore Rising, even if only at your place with some buddys, Nerdcore could rise up, but only if the geeks get behind it, and more and more these days, everyone's at least a little bit geek.